Chair noise is nearly as loud as just 15 decibels less than a jackhammer or motorcycle, and affects a student’s ability to listen and learn. Hushh-ups® eliminates this problem. Why is chair noise a problem? Research has repeatedly linked problems with listening, reading, writing, attention and academic success to ambient noise in classrooms. Listening, concentration and trying to learn with background noise can be difficult for young people. Classrooms today include students who face additional learning difficulties such as Hearing Impairment, Attention Deficit Disorder (ADD) and Autism Spectrum Disorder (ASD) among many others. Teachers find constant chair noise tiring. Many report physical and vocal fatigue when speaking all day at a high volume. Teaching is a challenging career in and of itself. Coping with chair noise can be difficult and compromises the all important learning environment. Children spend the better part of 12-14 years of their lives in a classroom. 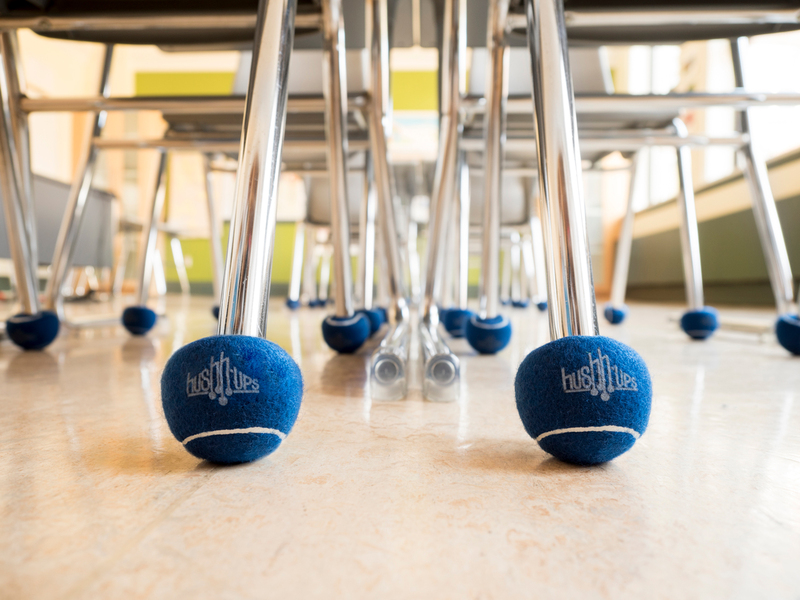 Students who are exposed to the constant scraping noise of chairs can suffer headaches, fatigue, and stress which can effect ther health an wellness, but also their mood and behaviour when they get home. 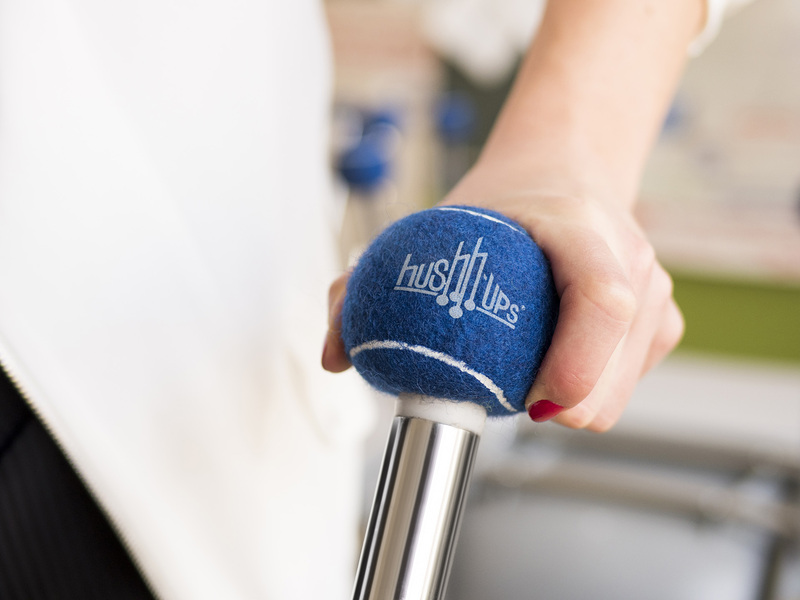 Hushh-ups® are a tried and tested solution, used by thousands of educators, health practitioners and parents. 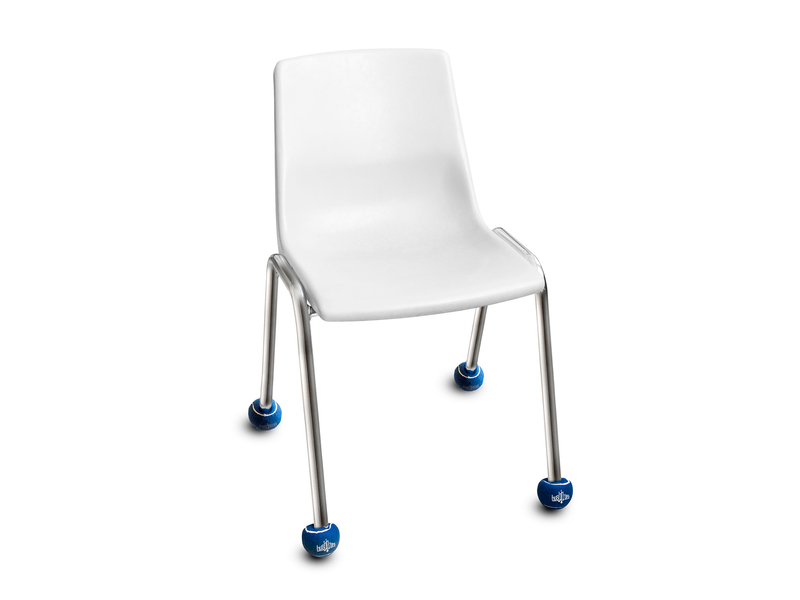 Hushh-ups® eliminate chair noise to a barely audible level. Hushh-ups® are a high quality product that can be installed in seconds! 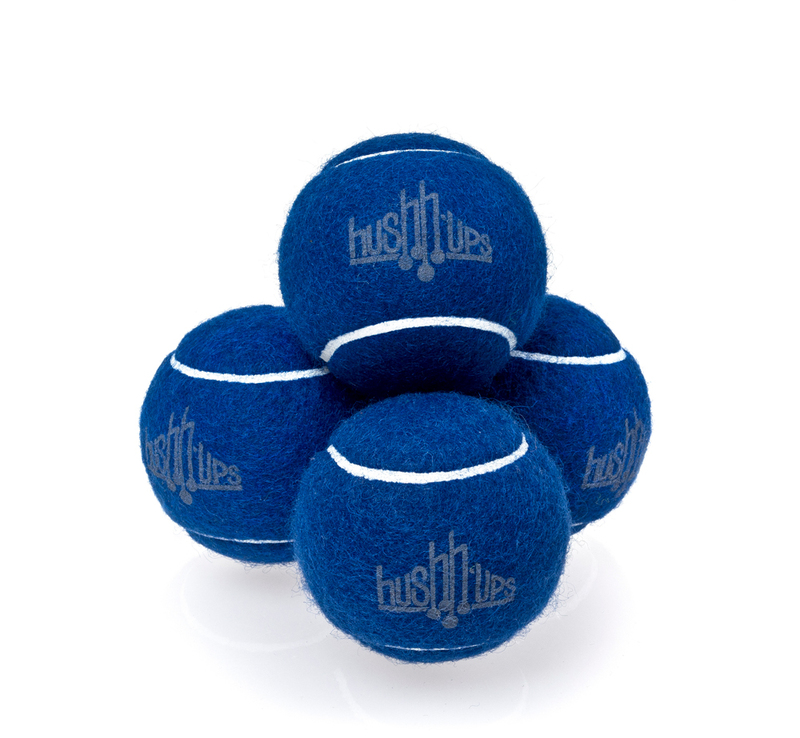 Hushh-ups® protect floors and significantly minimize maintenance fees. Hushh-ups® are the most efficient and safe way to eliminate chair noise. This smart solution effects school life and learning in many ways. Noise increases stress and fatigue in students with hearing difficulties, affecting their learning experience and performance. While hearing aids amplify a teachers voice they also increase distracting background noise, making it hard to identify and understand speech. Students with speech and language difficulties in a noisy classroom have a hard time hearing and processing auditory information. ASD children have trouble separating someone talking from background noise, making it hard to follow and listen to their teachers' lessons. Studies show that up to 40% of children with ASD are negatively affected by noise sensitivity. Students with ADD / ADHD have an even harder time paying attention and staying focused when in a noisy classroom. Children with learning disabilities have a hard time processing information and experience further challenges when in a noisy classroom. Reading delays of one year or greater in elementary aged children can be attributed to classroom noise alone. Excessive noise drowns out a teacher's voice, making it difficult for those who are not being taught in their first language to understand words.